Ready to take your walls to the next level? Artwork has the power to transform a room from blah to spectacular. Your home and living spaces are a statement about who you are and what you love. You've put so much into designing your home so it's a reflection of you-your style, your personality, and your special brand of wow. Why settle for plain old flat artwork that just hangs there? 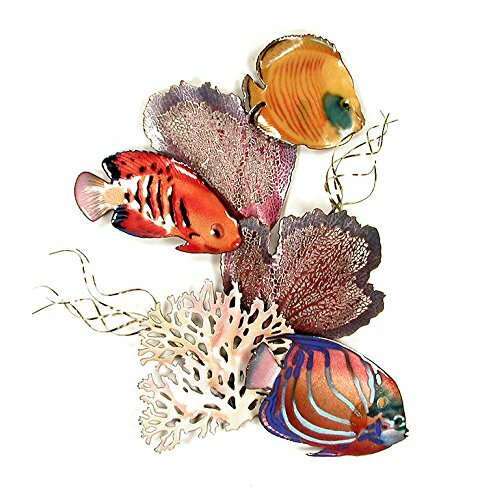 Metal wall art makes your walls sing Bovano Surgeon And Tusk Fish Coral, Glass Enamel Metal wall art is a unique and adds dimension, depth and life to any room. The Shimmering colors applied to copper was designed to do exactly that. The large size, opulent colors and abstract design create a unique and beautiful focal point to your space-whether in your studio, foyer, bedroom or office, this beautiful piece really wows. 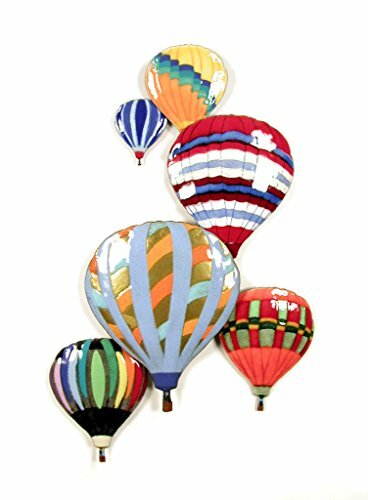 Glass Enamel Metal wall décor creates movement and motion in a way flat art can't because of its interplay with light. 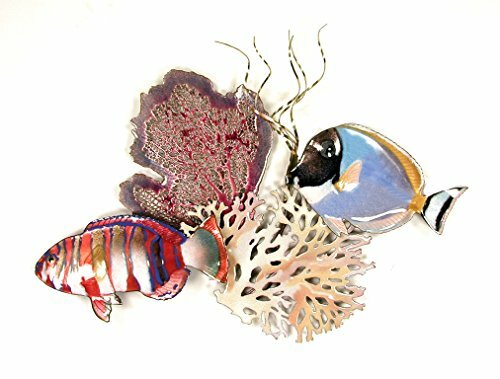 You'll see Surgeon And Tusk Fish Coral, changing before your eyes as the light changes. 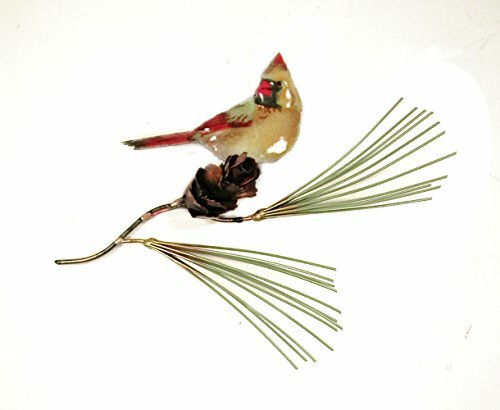 This stunning modern art piece is handcrafted, original 3D art created on copper sheets, and will last a lifetime. 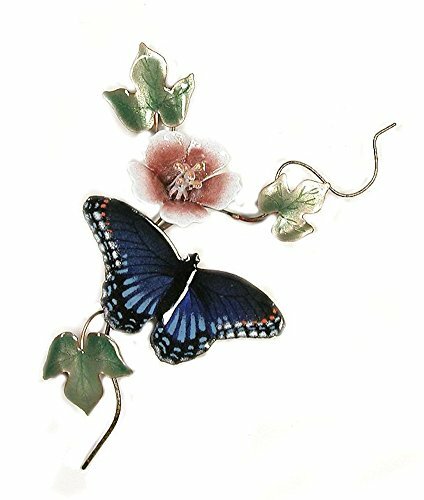 From our Butterflies & Dragonflies category: This sculpture is an original Bovano design, hand enameled here in our Cheshire, Connecticut studio. Vitreous enamel (pulverized glass) is applied by hand, using a delicate sprinkling method layered over solid copper and then kiln fired. Ready to take your walls to the next level? Artwork has the power to transform a room from blah to spectacular. Your home and living spaces are a statement about who you are and what you love. You've put so much into designing your home so it's a reflection of you-your style, your personality, and your special brand of wow. Why settle for plain old flat artwork that just hangs there? 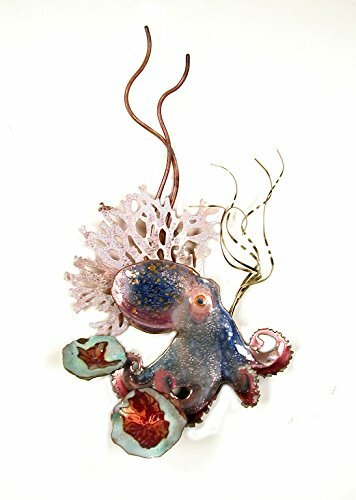 Metal wall art makes your walls sing Bovano Octopus With Grasses and Coral, Glass Enamel Metal wall art is a unique and adds dimension, depth and life to any room. The Shimmering colors applied to copper was designed to do exactly that. The large size, opulent colors and abstract design create a unique and beautiful focal point to your space-whether in your studio, foyer, bedroom or office, this beautiful piece really wows. 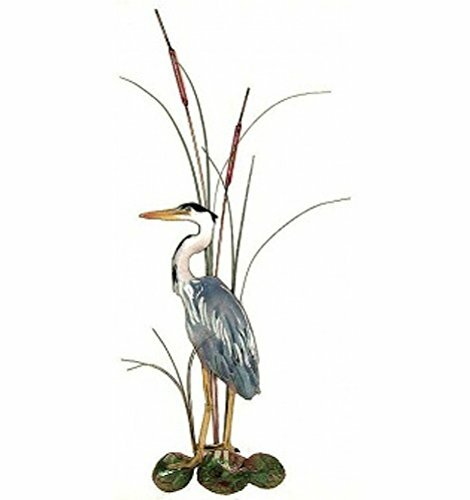 Glass Enamel Metal wall décor creates movement and motion in a way flat art can't because of its interplay with light. You'll see Octopus With Grasses and Coral, changing before your eyes as the light changes. 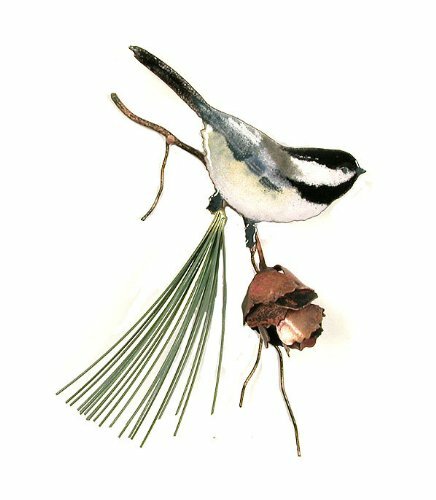 This stunning modern art piece is handcrafted, original 3D art created on copper sheets, and will last a lifetime.